The Munich chapter of Women in Big Data recently hosted a “learning lunch” at the Gemalto offices in Munich. 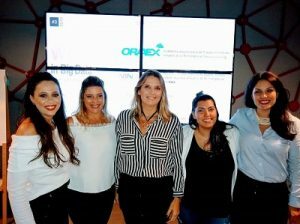 Objectives of this event were to present the women in Big Data organization, to explain what Big Data is and illustrate how it is changing the way we live and work, and to inspire women in Gemalto to improve their digital skills. 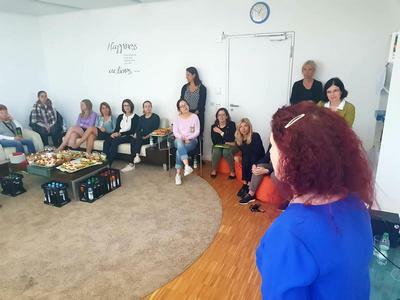 About 30 women attended the events, which was hosted by Gemalto Connected Women Munich, represented by Kendy Rannenberg, Business Development Manager at the Software Monetization Business Unit within Gemalto. She is an advocate of Women in Big Data and has successfully engaged Gemalto to become a sponsor. We are very happy to confirm that Gemalto will be hosting an event on November 8th, and that Kendy has joined our Munich Chapter team. The presenter was Nahia Orduna, Senior Manager in Analytics at Vodafone and Women in Big Data EMEA Core member. She explained why Big Data is changing our lives and how women of today can prepare for tomorrow’s challenges. 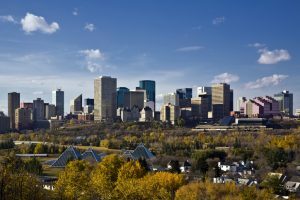 Prior to the talk, many attendees were not aware of all the possibilities that arise within Big Data; after the talk, they better understood what it is and how there is a big opportunity to grow professionally by augmenting their digital skills. It was a very interesting point that the people who joined were coming from different backgrounds – Legal, Marketing, HR, IT, Finance – and there was a discussion and recognition of how all the different departments go through a digital transformation, and how each person has to take action to bring added value to their organizations. The positive message was that it is very possible, there is a lot of online content and trainings, and each person can own their own future in this digital world. It was mentioned how Gemalto is currently supporting some online training platforms, and attendees were eager to try it after this inspirational talk. Many of them decided to join Women in Big Data meetup and LinkedIn groups , as well as the meetup in Gemalto in November. The event was attended by Astrid Neumann, Pat Piritburana and Audrey Gerardin from WiBD Munich Chapter. All the team was networking with the Connected Women during lunch time.